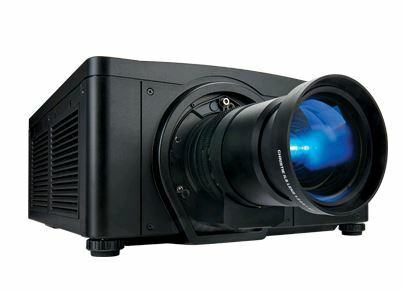 The most compact in its class, the Christie M Series projector platform provides the high-performance and feature-rich standards expected in all Christie products. Embedded warping, blending and color matching, along with built-in portrait capabilities give you even more installation flexibility with this SXGA+ model. The Christie DS+10K-M, at 11,550 center lumens (dual lamps, 350W), offers high efficiency and low cost of ownership by drawing a maximum power of 1320W giving you full brightness while using less power.